Planning a trip for this fall ( early to mid Oct) and looking for some advise on where/ what to do. We will be renting a car as we like to drive from place to place. How many days in Trieste? Ljubljana Slovenia - Is it worth a couple days there? I can get a hotel there for a lot less than I can in Trieste. Stay in Ljubjana and go to Trieste for 1 day? What area is not to be missed in Croatia ? I'm going to try and utilize my Marriott points for stays but am open to Airbnb's if it makes ense. Are you planning to just be in the Istria region of Croatia? If you're heading down to Dalmatia, I'd definitely recommend spending a lot of time on the islands. I enjoyed Korcula, in particular. But depending on the length of your trip, and the fact you're driving, it might make more sense to just visit Istria? I didn't find a lot of Marriotts in Croatia. There were a couple resorts in the Dubrovnik area as I recall, but a little far from the old city. And I'm sure some in Zagreb (I haven't been there). On the other hand, we found good prices and were pleased with our AirBnb's. Depends on your interests and what do you want to see. Don't know how many days you have on disposal, but an obvious routing from your initial ideas would be: Trieste - Ljubljana - Zagreb - Istria - Trieste. Cannot give you a recommendation and number of days in Trieste because I've never visited it. In Slovenia you can be stationed in Ljubljana and drive around, it's convenient because you have a highway in all directions (and you will pay all tolls by buying vignette). Regarding your question about traveling to Trieste for a day trip I can not give you a suggestion (someone taking border crossing there should advise you). But I would not recommend going to Zagreb as a day trip because it’s not worth the hassle to drive 2 hours in one direction + border control (Croatia is out of the Schengen area). If you decide to go to Zagreb, stay at least one night there. Thanks for all the information. Looking at a total of 8-9 days in country. Is there any issue with renting in Trieste and driving to Croatia? Have you been to Venice? If not think about a day trip there from Trieste. I spent 10 days in Slovenia last summer and thought it was excellent. We made a day trip into Croatia to Rovinj and Motovun. Ljubljana is a delightful place and it is very easy to see all of Slovenia from there. Depends on what you like. Ljubljana has oodles of museums and other sights, and a castle (now a museum). I spent 4 nights I think, and had no problem to keep busy. Spent a couple of nights at Bled and 3 at Maribor. Lovely country to visit. Even did a day trip to Sevnica. My suggestion would be to reverse that, 6 days Slovenia, 3 days Istria. I preferred Piran to Rovinj though no doubt others may have the opposite opinion. Expect traffic delay driving into Croatia, since it is out of Schengen area and has a customs border. We were delayed perhaps one hour going south in the morning, no delay coming back north late evening. The Istrian hill towns are also worth a visit and there are many vineyards and olive farms to visit if you wish. It is a long drive to Split, something like 5 hours down and 5 hours back. Ljubljana is a delightful place and it is very easy to see all of Slovenia from there. We're traveling to the region soon & would like to see a number of sites in the Julian Alps, more than can be squeezed into a single day trip from Ljubljana. Do folks think it makes more sense to stay in the city & do 2-3 day trips driving up/back or pick one spot in the NW region & use that as a base for a few days? I'm guessing the latter, but am curious to hear others' opinions. When are you planing to go? For Julian Alps all depence when in the year you are planing to go. The peak season is middle of July and almost all August. You can write me PM with more details and I can help you if you want. Expect traffic delay driving into Croatia, since it is out of Schengen area and has a customs border. No customs border within the EU. You'll only see passport control, no customs. That depends on how long your total trip is. For my trip I spent 4 nights Ljubljana, 3 nights Bled, 3 nights Piran. I think that was good use of the available time. 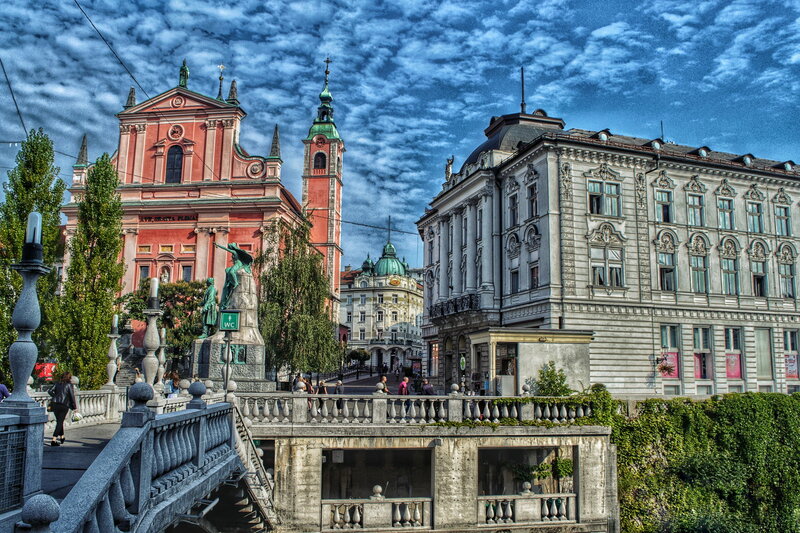 If I was only going for 3-4 days I would probably spend it all in Ljubljana and travel from there. Travel was very easy, good roads and not a huge amount of traffic. So, this summer we flew ATL-VCE-DBV and rented a car then drove from there to VCE, flew back. We went to places in the south of Croatia that probably aren't on your radar since you're doing to/from Trieste, but we did 2 nights in DBV. Did the old town, spent time on Lokrum (went swimming there awesome), and had a drink at the bar at the top of the funicular. 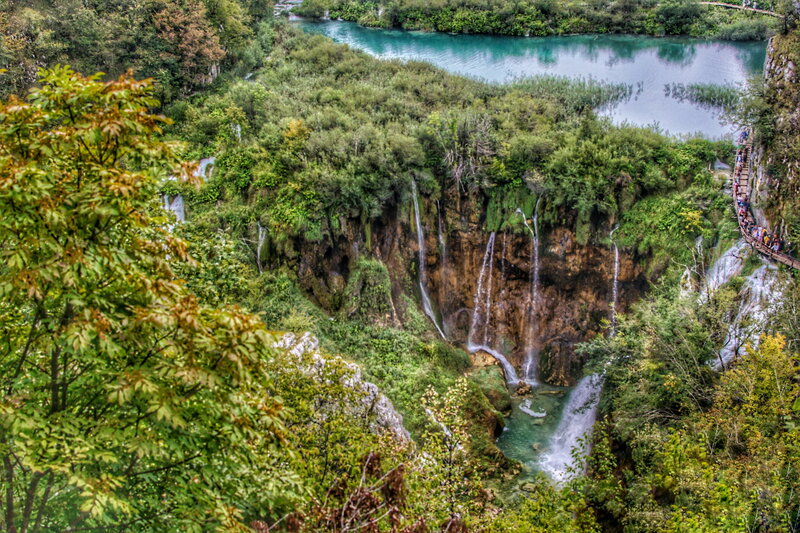 From there we drove to Kravica waterfalls (Bosnia) which were beautiful (you can swim in these ones). We proceeded on to Mostar, Bosnia and spent the night. That was a really nice little town, had a great Bosnian dinner, watched divers off the Stari Most (bridge). From there, drove to Split for lunch and walked around Diocletian's Palace, continued to Krka waterfalls. No swimming here, but very beautiful, then spent night in Zadar. We saw the sunset at Zadar pier and got some pizza. Next morning, off to Plitvice Lakes which are AMAZING. They're huge, but you can do it in a day if you plan right, go all the way to the top and hike down. We then spent the night in Ljubljana (Intercontinental). The next morning we had a nice coffee and walk around the town, the bridges and old town are BEAUTIFUL. 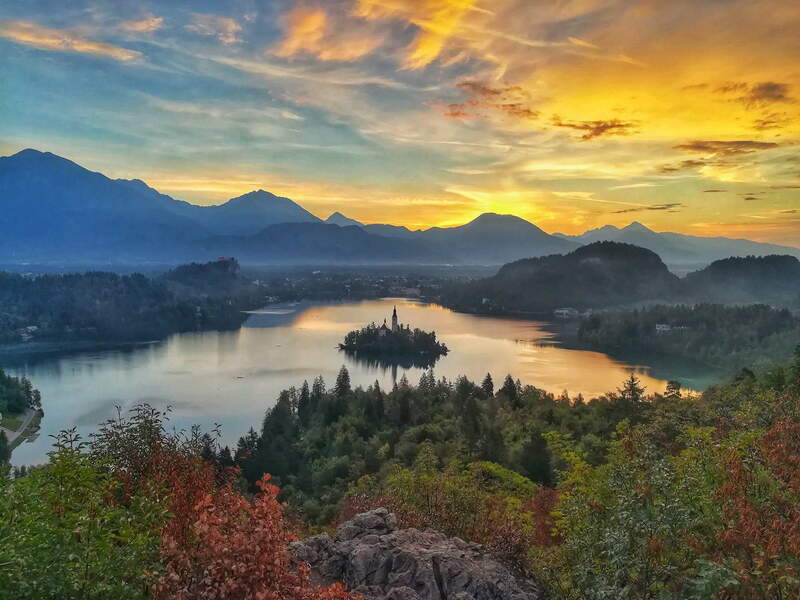 We drove to Lake Bled, where we spent 2 nights. This was the highlight of the trip. Best western was great location and views. We rented bicycles, great dinners, hiked to a great spot for sunrise over lake, and had a drink in Tito's old house (great view). We rode a traditional boat out to the church and on the way out of town, we stopped at Vintgar Gorge for some light hiking and great views. We continued to Villach Austria for lunch (just to say we added a country), then ended in Venice. We dropped off the car and had 2 nights in Venice. One-way rental was expensive ($700~) but worth it for the flexibility, plus roads were great (mainly highway north of Bosnia). Intercontinental was only chain, all others were either Hotels.com (w/ GC @ 85%) or UR portal using points. Oh and one AirBnB (Venice) using referral bonuses. Only regret is not being able to squeeze in Montenegro, but gotta leave some for next time! Plitvice Lakes best view is up back behind a waterfall up on a road.